There are many levels of membership available including Annual, Sustaining, Spikes and Empire Builders. 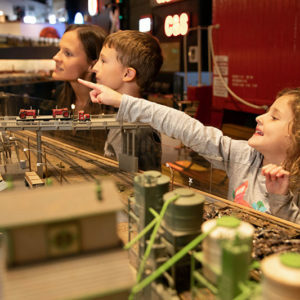 Our museum even offers a membership for Grandparents to bring their grandchildren. Select a membership level below to purchase and sign up online! Alternatively, you may download the membership form below and email or mail in. Contact 970-392-2934 or info@cmrm.org with any questions. *10 and 20% discounts do not apply to gift certificates, additional membership purchases, or admission. Membership is not transferable to other parties.